Lodge Road, West Bromwich Town Hall Metro stop is one of the more interesting stops on the route in as much as it is in a somewhat deeper cutting than the others I have visited (bar Bilston Central). 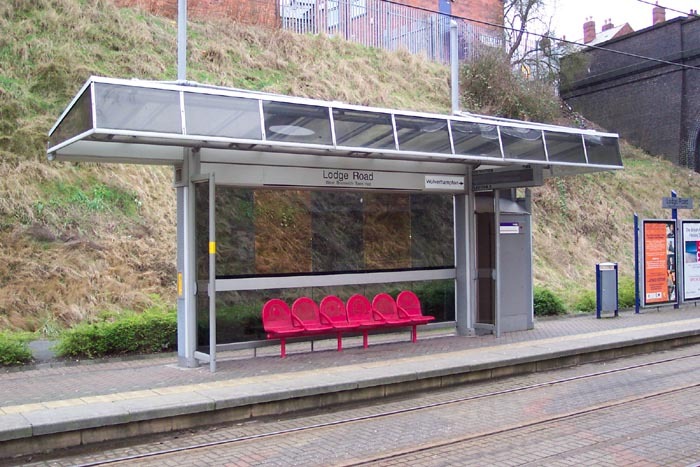 For this reason, a lift has been installed to take passengers from Lodge Road to platform level: the access pathway for disabled access is also in situ but, due to the severity of the drop, is winding and extremely long. 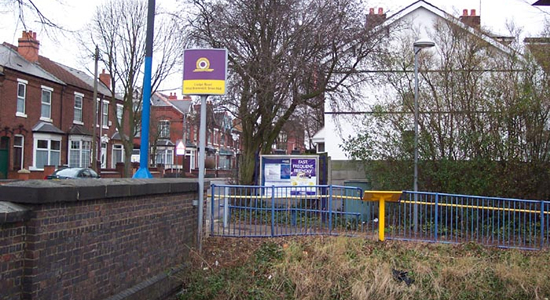 Above we see the entrance to the Metro stop on Lodge Road - the stop only has the one entrance which leads to the Birmingham platform: economies of scale I would imagine prevented a direct link from Lodge Road to the Wolverhampton platform being constructed. Above-left we are on the Lodge Road overbridge looking down at the Metro stop in the direction of West Bromwich Central which is the next stop on the line. 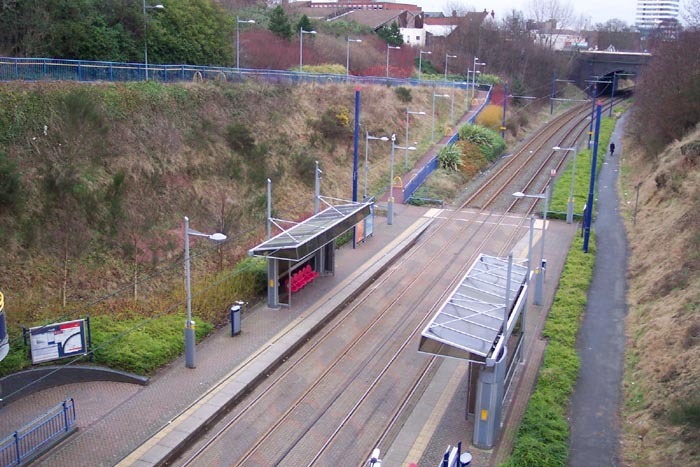 The seemingly never-ending entrance access ramp can be seen on the left-hand embankment. Above-right we have emerged from the entrance access ramp onto the Birmingham platform and are looking through Lodge Road bridge towards Wolverhampton. The rather odd-looking structure just past the Birmingham platform shelter is the lift shaft leading up to road level with a staircase, for those of a keep-fit disposition, wound around it. Above-left we are on the Birmingham platform taking a close look at the shelter on the Wolverhampton platform. 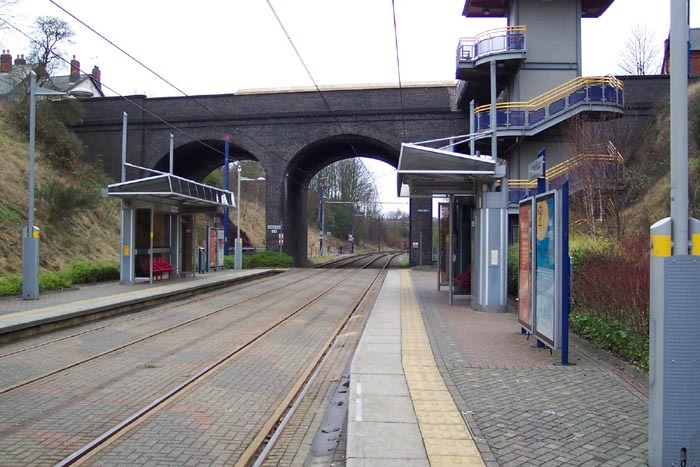 Above-right we have turned to our left and are looking towards West Bromwich Central Metro stop from the Birmingham platform: the road bridge in the distance is that of Victoria Street. 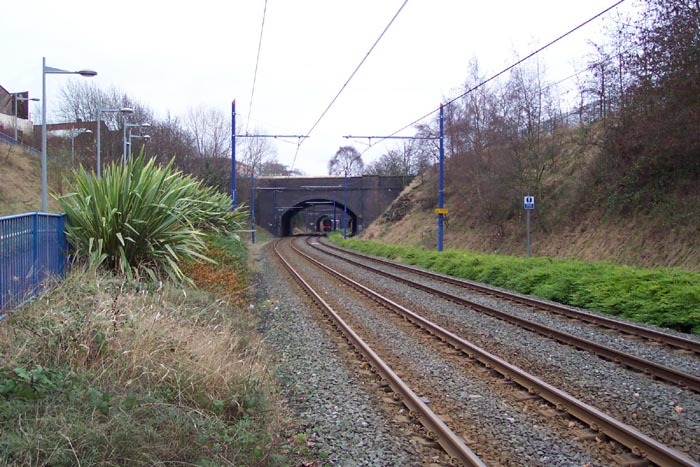 It was at this point that I noticed that you could actually see West Bromwich Central Metro stop through the bridges around the bend ahead and decided to walk along the track to it. 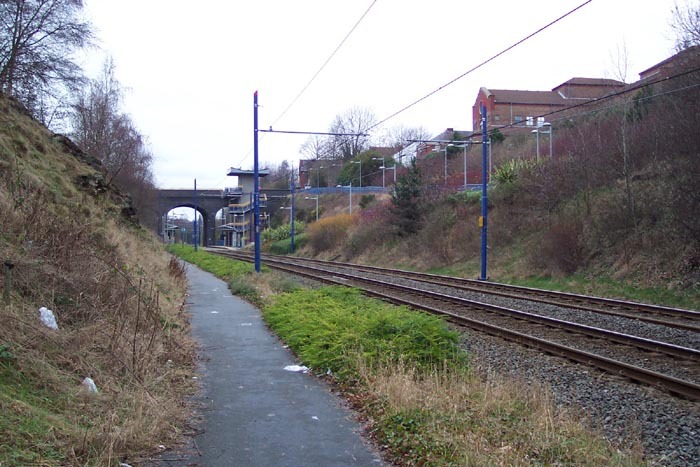 One benefit of the Metro here is that a cycleway/path has been made along a disused part of the trackbed which allows you to walk alongside the track through tunnels/bridges etc . . . between stops. Above-left I have walked around the bend ahead from the previous photograph and under Victoria Street and Moor Street bridges and am approaching West Bromwich Central - the bridge ahead is that of Lyng Street. 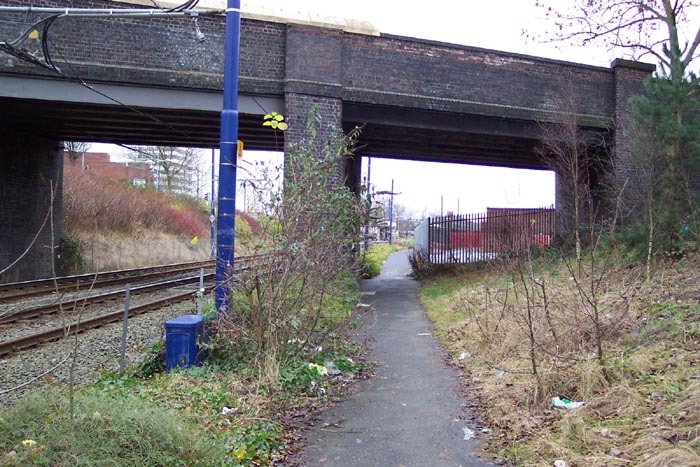 This view clearly shows how the pathway occupies what was once another set of lines: see the bridge arches and fencing ahead marking the branching-off to the right of the goods sidings and what was once West Bromwich station. Above-right I have walked back from West Bromwich Central and we are looking at Lodge Road from the base of Victoria Street bridge in the direction of Wolverhampton.